In my family, I have quickly become the go-to person for, “I really want “blank”…can you find it for me?” As someone who enjoys shopping, I know all to well that you will never find exactly what you want right when you need it. I tend to take to take it as a sort of shopping mission when my family sends me these requests, and thought it would be fun to document the hunt. 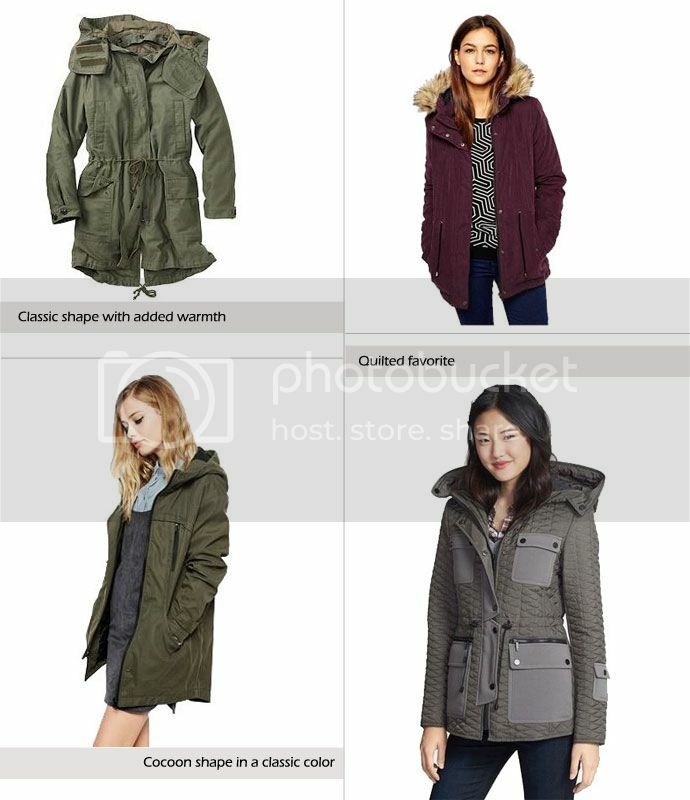 This option from Gap features all of the elements of a classic parka. It is the most expensive, but has a detachable hood and liner making it wearable in various seasons. This is another standard anorak in classic army green. I am a huge fan of the cocoon silhouette and like the black hardware on this one. This quilted parka is a fun alternative to the standard canvas material, but maintains the classic utilitarian details. My sister is quite petite so I think the shorter length and drawstring waist would be great for her. Ooh you called me petite! Not bad choices on the jackets.